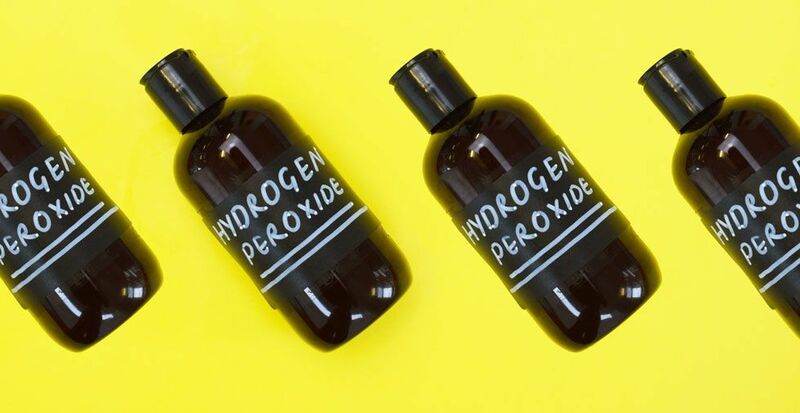 Do you have a bottle of hydrogen peroxide hiding at the back of your bathroom cupboard? Better go seek it out. From treating acne to gardening, today we're sharing 39 nifty ways to use hydrogen peroxide that you don't want to miss. Hydrogen peroxide's (H2O2) scientific name may sound scary, but it’s a lot more versatile than you may think. This colourless liquid has strong oxidizing properties, making it one of the World's most effective disinfectants. It also has a lightening effect, which is useful for a load of different things from cleaning to beauty. Ready to discover the magic of hydrogen peroxide? Let's get started! BEFORE YOU START: Please be careful when handling Hydrogen Peroxide. The tips here are suggestions, and each should be carefully considered before putting into practice. Who knew hydrogen peroxide could do more than bleach hair? 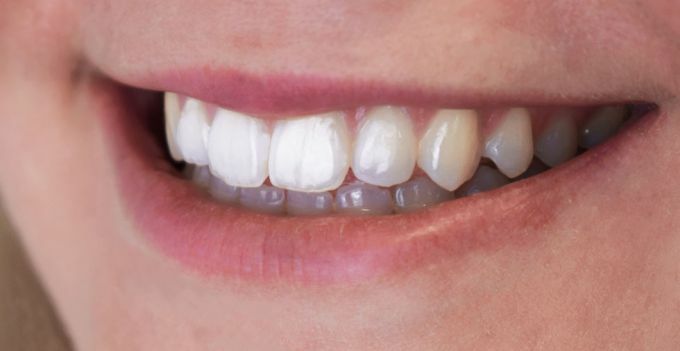 Mix hydrogen peroxide with baking soda until a paste is formed to make a weekly homemade stain remover for your coffee or tobacco-stained teeth. Combine 1 part hydrogen peroxide with 2 parts water and swirl around your mouth to help kill any stubborn germs on teeth, tongue and gums that can lead to bad breath - all it takes is 30 seconds of swishing. This is also recommended by orthodontics for those new to braces. The solution will calm inflammation and ease pain. If your nails have been stained from endless nail polish applications, soak your fingertips in a small bowl of hydrogen peroxide. Rinse thoroughly to reveal cleaner nails and whiter French manicure-esque tips. Spots are often caused by bacteria. Germs can be easily spread onto the face when you touch your skin or itch your eyes. Hydrogen peroxide can come in handy as a face rinse as it will kill bacteria and also help dry out any existing spots. Squirting onto a cotton pad and apply gently to the area. Leave for 5 minutes before rinsing clean. NOTE: Always do a patch test first. Sandals don't look so chic on feet with calluses and corns. You can effectively soften painful corns and calluses with a hydrogen peroxide foot soak. Mix equal parts of hydrogen peroxide and lukewarm water before popping your feet inside for 20 minutes. Swimmer's ear is an infection of the outer ear canal caused by bacteria and fungi. It's common in swimmers as prolonged periods spent in water can break down the skin and allow bacteria or fungi to penetrate. Like to swim a lot but don’t like the inevitable swimmer's ear syndrome? Mix equal parts hydrogen peroxide and white vinegar in a small bottle with a dropper lid. Apply a few drops into each ear after swimming to prevent infections from forming. Although many of us use cotton buds to clean our ears, they're not actually recommended by professionals as they can easily damage delicate ears drums. 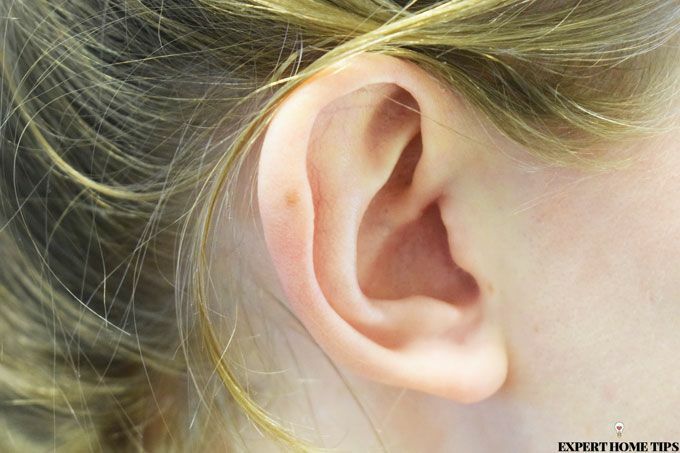 A safer way to removal built-up ear wax is using hydrogen peroxide. Tilt your head and add a couple of drops of hydrogen peroxide into your ear, wait a few minutes then follow with a few drops of olive oil. After another few minutes, tilt your head the other way to drain out any excess fluid. Athlete's foot is another fungal infection, but despite the name, it isn't unique to athlete's alone. The damp environment inside our shoes it what often causes bacteria to form and thrive. Hydrogen Peroxide has excellent anti-fungal properties, making it a great solution for this common problem. Make a solution by combining equal parts hydrogen peroxide and water then apply to your feet nightly so it can get to work on fighting the fungus. If you’re suffering from an ear infection, help relieve the pain with a few drops of hydrogen peroxide in each ear. It won't get rid of an infection but it can aid recovery. Diluted hydrogen peroxide is also a great solution for dogs who have chronic yeast or bacterial ear infections. Mix 1 part hydrogen peroxide with 1 part water and apply to your dog's ear with a cotton ball. Don't let them get dirty! 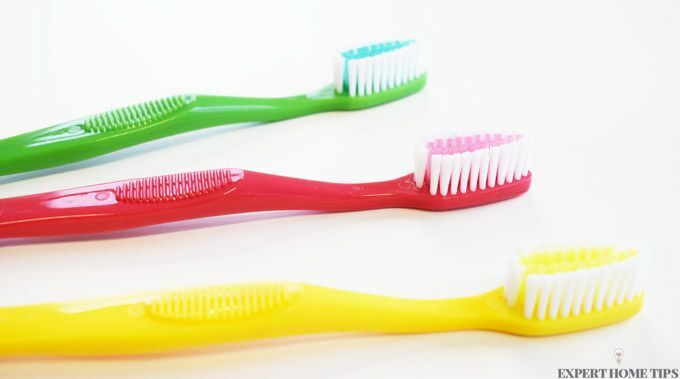 When was the last time you changed your toothbrush? If it's been a while, it might be a good idea to disinfect it. Soak toothbrushes in hydrogen peroxide to zap bacteria and other germs that can be found in the bathroom environment. Canker sores, more commonly known as ulcers, occur inside the mouth and are caused by a range of factors from stress to stopping smoking. They can take around two weeks to heal naturally, so it's worth considering a natural remedy to speed up the process. Mix 1 part 3% hydrogen peroxide with 1 part water and dab onto the ulcer using a cotton wool pad. Reapply to the affected area a few times each day. Colds aren't often serious, but they can be annoying! Many people claim to have banished their colds almost instantly by administering a few drops of hydrogen peroxide into each ear. We'd definitely like to try this one! Out of deodorant? Don't panic! You can whip up a quick DIY version with 35% hydrogen peroxide and bicarbonate of soda. Apply under arms and it will keep you smelling fresh all day long. Not got your first aid kit to hand? If you’ve got a small cut or graze to deal with, reach for the H2O2 which is a natural antiseptic. It can be applied directly to minor wounds to clean away dead tissue and help prevent any infections. NOTE: Hydrogen peroxide should only be applied once as using it on a wound too much may inhibit friendly bacteria which is essential for the wound to heal. Get that sun-bleached look without the sun or an expensive trip to the salon! Spray hydrogen peroxide over damp hair and let it soak in for 10 minute then rinse out. If your hair naturally lightens in the sun then this will work well. Make sure you do a strand test before you commit. Running out of lense solution can be a nightmare! Dirty contacts can be a real danger to the eyes and may cause infection. When you've run out of lense solution, the best way to clean your lenses is with hydrogen peroxide. It helps get rid of the common build-up of proteins that can diminish contact lenses over time. Use H2O2 as a quick, cheap alternative to expensive solutions, but always use it sparingly otherwise it too could damage eyes. Read LiveStrong's article on how to clean contact lenses before you attempt to do it. 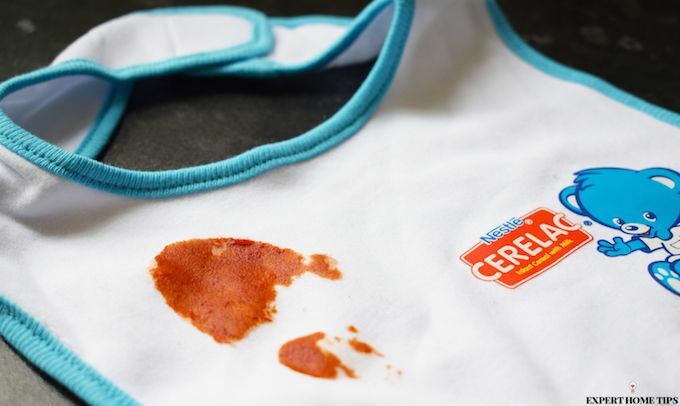 Stain removal's never been easier! For 'organic' or 'natural' stains such as coffee, blood, wine and sweat, there's nothing better than hydrogen peroxide. Mix two parts hydrogen peroxide with one part washing up liquid and apply to the stain to remove. Use with caution as darker colours may lighten so do a quick patch test first. Have your whites seen whiter days? Add a cup of hydrogen peroxide into water and soak any white laundry for 15-30 minutes before washing as normal. This should help revitalise your dull or discoloured whites. If your Summer or Winter wardrobe has been in storage for a few months, you can help de-funk that musty smell by mixing hydrogen peroxide with vinegar and spraying onto fabrics. Be careful with dark clothes as the peroxide may cause them to lighten. This also works well with fabric suitcases and smelly towels - just be sure to patch test first. If your bags have started to look grubby or got a bit smelly, simply give them a quick spritz of H2O2 to clean, disinfect and remove any lingering food odours. If you own lighter coloured rugs and carpets, spray with hydrogen peroxide to remove any mud and food stains. It will also help freshen them up! It tastes great but gosh does it leave a mess! 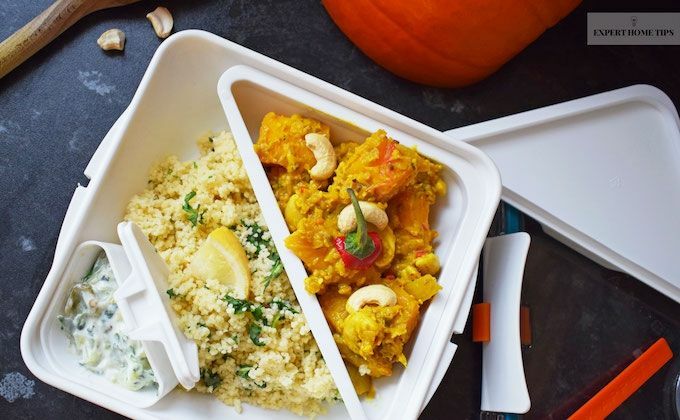 Smelly or discoloured food containers? ...you guessed it, it's hydrogen peroxide! Clean your food storage items with hydrogen peroxide then let them sit for a few minutes before rinsing thoroughly. Aquariums can be an amazing feature in the home, but they sure take some looking after. It's important to keep tanks free of algae, not just for aesthetic purposes, but for the health of your fish too. Many people have had success using hydrogen peroxide to spot treat algae. Just be sure to read up on the dosage carefully - you don't want to cause harm to your fish! Ant infestation? There's a quick (and cheap) fix for that! Spray diluted hydrogen peroxide directly onto ants to kill them. If it makes chores easier, we need it NOW. Hydrogen peroxide's whitening properties can really come in handy when it comes to cleaning. If you’re battling with discoloured grout, make sure you try hydrogen peroxide. Mix it with bicarbonate of soda to make a thick paste and apply onto grout with a toothbrush. Cover with cling film overnight, scrub with a toothbrush the next morning to reveal blindingly white grout! Blast through dirt with hydrogen peroxide! Considering what our toilets have to put up with, it's no doubt they get a little grubby from time to time. 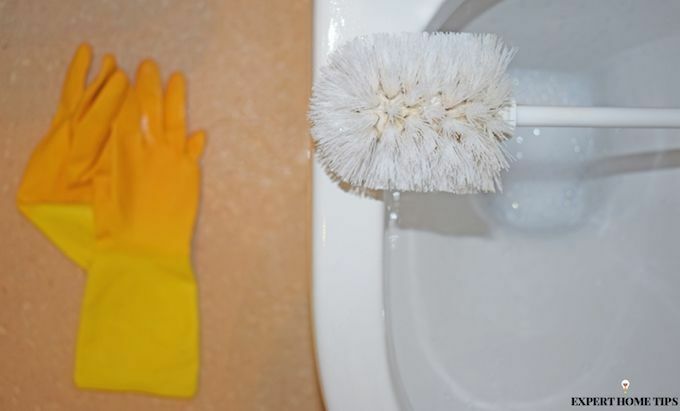 Clean a neglected toilet bowl by pouring half a cup of hydrogen peroxide onto the sides of the bowl and using a toilet brush to scrub the sides. Leave for 30 minutes before flushing. Baths are super relaxing, but the cleanup afterwards is often less so. Get rid of stubborn soap scum by spraying hydrogen peroxide onto your tub and letting it sit for 10 minutes. It’ll blast through dirt and make it easier for your to sponge clean off. Showe curtains spend most of their time in a wet environment, which is unfortunately ideal for the development of mould. Spray your shower curtain with 2 parts hydrogen peroxide and 1 part water and let for 10 minutes before rinsing. Air dry, and your shower curtain should look and feel much cleaner. Prevention is essential when it comes to mould. Act before you see those ugly speckled spots by spraying hydrogen peroxide around your bathroom on areas where it could build up, such as grout and silicon. Spray them with hydrogen peroxide to safely kill any lingering germs and bacteria. Get it spick and span. In our cleaning schedule, we recommend cleaning out your fridge every three to six months. An easy way to tackle spillages and lingering food smells is with hydrogen peroxide. 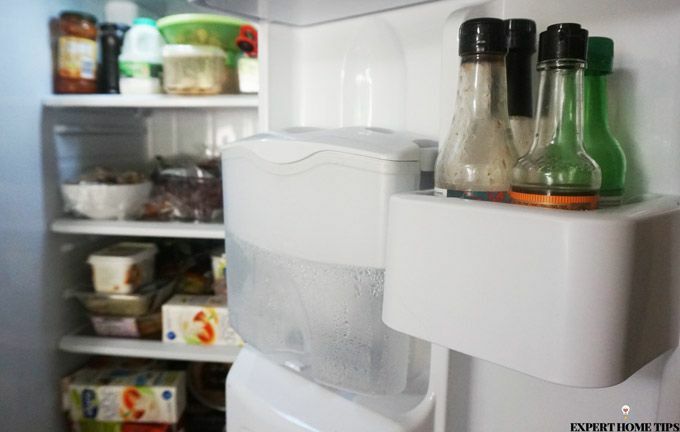 Spray hydrogen peroxide around the inside of your empty fridge and leave to settle before wiping away with a clean, damp cloth. It'll leave your fridge smelling and looking brand new. Fresh produce can carry all sorts of germs into our kitchens, that's why it's extremely important to disinfect cutting boards thoroughly after every use. An easy way to do this is spraying them in 3% hydrogen peroxide and leaving to stand for one minute before washing with water. Did you know sponges are the dirtiest item in the home? Shocking huh! You can disinfect sponges and dishcloths by soaking in a bowl of one parts hydrogen peroxide diluted with two parts water. Air dry before putting them to use again. Washing up liquid not quite cutting it? Get rid of caked-on foods from your pots and pans by combining baking soda with hydrogen peroxide to form a paste. Rub onto the pan and leave to settle for a few minutes before scrubbing away with warm water. The baking soda acts like an abrasive while the hydrogen peroxide gets to work at breaking down the food. 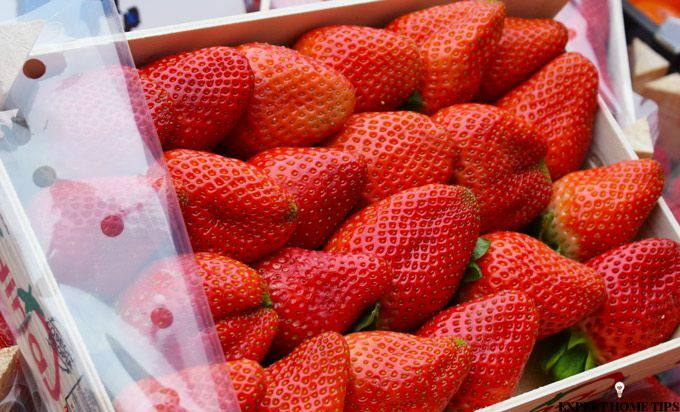 Fruit can carry a surprising amount of germs. Another way to tackle dirt in the kitchen is washing your fruit and veg thoroughly with hydrogen peroxide when preparing your meals. Not only will this kill germs, but also remove any pesticides which can be harmful for humans. Spray fruit and veg with 35% hydrogen peroxide diluted with water, then wash.
Children aren't known for their cleanliness, and as a result, their toys can get pretty germy. Hydrogen peroxide can be used to wipe down your kids' toys, toy boxes and play areas. It's much safer than most household cleaners and won't cause lung irritation. If you're lucky enough to have a pool, you'll know all about chlorine and the many problems it can cause. A non-toxic alternative that may interest you is hydrogen peroxide. Head over to SFGATE to find out more. If you have green fingers, you'll know all about the struggle of getting your seeds to germinate. Hydrogen peroxide can help with this, as it helps to break down the seed coating, allowing seeds to breathe more easily. Soak seeds in a litre of water along with a few tablespoons of hydrogen peroxide to improve their ability to breathe, and also kill bacteria. Windows and glass surfaces are notoriously hard to keep clean. Spray hydrogen peroxide straight onto any dirty mirrors or windows to break down any dirt and wipe away with a clean damp cloth. 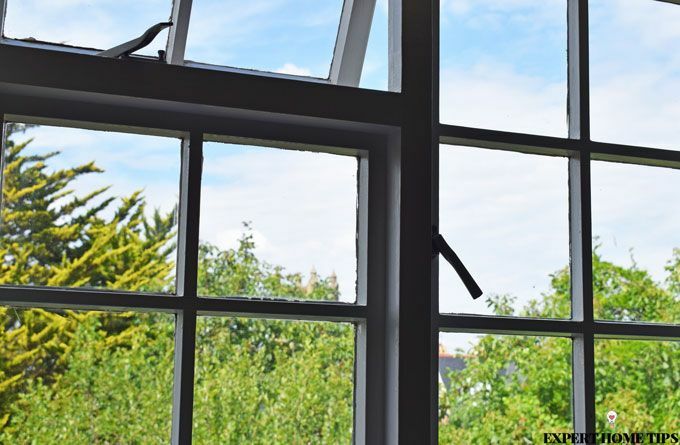 Your windows will be sparkling clean and streak free. Like the sound of some of uses for this cheap budget product? You'll need some hydrogen peroxide to get started. Depending on what you plan to use your hydrogen peroxide, you may need several different types. 3% hydrogen peroxide is the most popular and cheapest, however it contains other ingredients which can be more harmful - it's less 'pure'. 35% hydrogen peroxide, or 'food grade' hydrogen peroxide, is recommended wherever possible. With regards to buying hydrogen peroxide, it's best to pick it up online. Most beauty shops no longer stock it, and you may require a prescription to obtain it from a Chemist. With so many uses, hydrogen peroxide is definitely an essential in our homes! What do you tend to use it for? Let us know in the comments below! PLEASE REMEMBER THOUGH THAT IF YOU DILUTE IT AND STORE IN THE BOTTLE IT WILL LIBERATE OXYGEN AND THE BOTTLE CAN EXPLODE. Best to make up a small amount at a time. Not being alarmist, have made this mistake myself. Tip the peroxide in a cup or similar, dilute it there and after use discard any diluted solution..Please! These tips sound great but where can you buy Hydrogen Peroxide, chemist, hardware store ? Would love to know, thank you. If you wear nail polish, remember to put on gloves before handling hydrogen peroxide. H202 will also remove your varnish as well as disinfect items! Hydrogen peroxide needs to be neutralised after cleaning contact lenses as it will burn your eyes. Thanks Elli. I have amended the article and linked to instruction on how to do it. Yeah where can we buy this in the UK?? This, along with rubbing alcohol, have long been essentials in every home I've lived in but I cannot find them here in England! Your best buying it online from Chemist Direct or Amazon. You can also find it in larger Superdrug stores. You can buy Hydrogen Peroxide from Amazon, it's really cheap! Hi Elaine you can find it online from big retailers like Amazon. A bottle of the 'Care+' brand can also be found in larger Superdrug stores. Hi Andrea, yes I would dilute it first then make a paste with the baking soda. Let me know how it goes! Ha ha ha I have no idea why nervous came up on my reply???!! ? On #27 you show (1.2) what does that stand for ? Is it safe to store in home because it should not cause an explosion under certain factors so can u explain it ? Hi Ajzayn. Make sure to store it out of reach of children & away from direct heat and it should be perfectly safe. I started the 20 day regiment but as not home for 2 days so when I came back I started where I left off. Is that OK? Also what if you miss the 3rd treatment do you continue to the next level the next day or do you stay at that lever another day? How do you get rid of the aftertaste? Hi there, John! Can I ask what treatment it is that you're referring to?